In addition to this information, the contractor also has to show a certificate of insurance for general liability and a street obstruction bond in order to obtain a building permit that allows the street or sidewalk obstruction during the period of construction. This street obstruction bond covers compliance with ordinances and indemnifies the city or municipality against any claims arising by reason of a permit to obstruct streets. The language of a street obstruction bond is often strongly worded to ensure that the company with the permit required to close a street or sidewalk clears the city and its officials of any possible liability in this regard. The Department of Transportation has made a number of amendments to the permit bond rules. 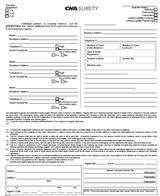 See the following notice and forms, which are in pdf format. Notice Reminder: The amounts of most permit bonds will increase on July 1, 2008. See Notice for details.